Give your customers the power to pay online. A highly secure, PCI DSS compliant solution that will easily integrate into your existing payment processor. 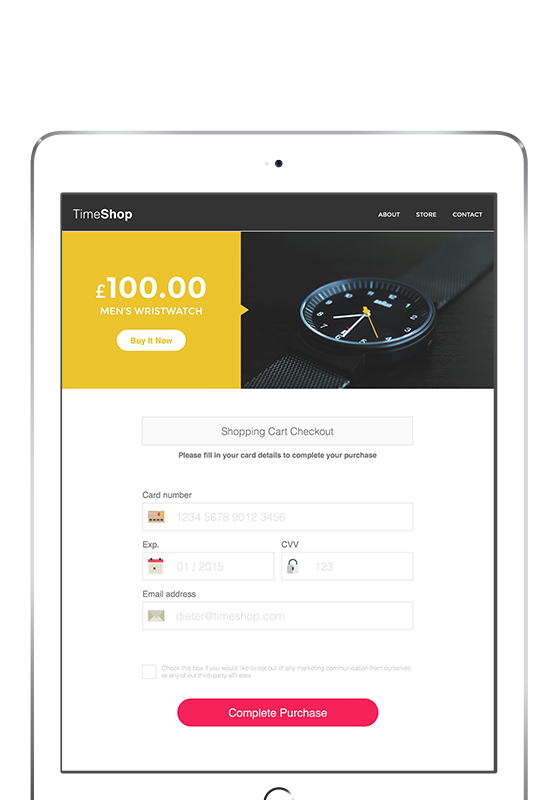 Your customers can make a payment within seconds! Using our secure online system your customers can pay whenever suits them. It gives you the flexibility to take payments outside of working hours. Integrate with your payment provider. Our secure payment portal can be easily integrated into all major payment providers. Our web payment solutions are fully customisable to reflect your company branding so it will fit seamlessly with the rest of your online presence. By giving your customers a chance to self-serve it gives them more options so they can pay in a way that suits them. It also cuts out the middleman, giving your staff the opportunity to work on more productive tasks. "Our payments taken by IVR and online consistently double that of the industry." A globally recognised security standard. Protecting our customers' data is paramount. We've been awarded Gold Trusted Merchant accreditation. Our rating is at 97% for the past year!